Because of the team-based approach to care at CTCA, we are able to provide care in days that might otherwise take weeks or months. General Surgery – Georgetown University Hospital, Washington, D.C.
Dr. Daniel Miller is a world-renowned leader in thoracic surgery who provides expanded access to thoracic surgery at Cancer Treatment Centers of America® (CTCA), Atlanta. He has been inspired by the patient-centered approach to care at CTCA®. “The compassion and dedication of the CTCA staff to the individual needs of the patient is second to none,” says Dr. Miller. At CTCA, Dr. Miller provides thoracic surgery care to patients with thoracic malignancies ranging from the earliest to latest stages of disease. He helped introduce minimally invasive techniques for thoracic diseases, as well as new technology and interventions such as Hyperthermic Pleural Lavage for primary and metastatic pleural disease, making CTCA one of very few cancer centers to offer this treatment option. 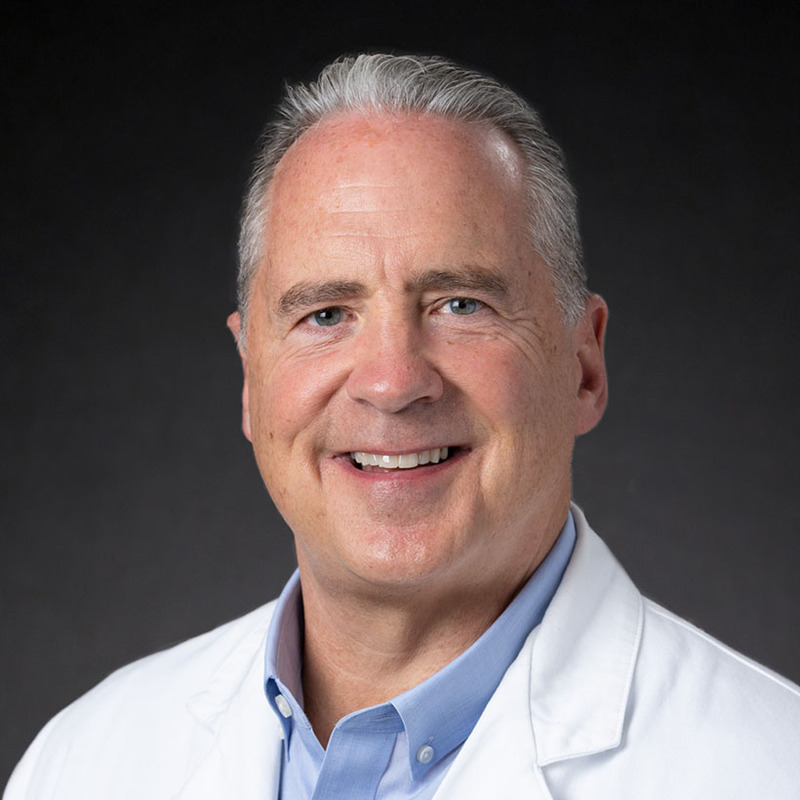 Dr. Miller specializes in VATS procedures for early-stage disease, and is an expert in the complex surgical procedures involved in the treatment of advanced cancers of the trachea, lung, esophagus, mediastinum, bony skeleton and pleural. Dr. Miller has been a general thoracic surgeon at CTCA Atlanta since August 2014. In addition, he is also Chief of General Thoracic Surgery and Director of Clinical Research with a large regional health care system and clinical Professor of Surgery at Georgia Regents University. Licensed to practice medicine by the State of Georgia, Dr. Miller is Board Certified in Cardiothoracic Surgery by the American Board of Thoracic Surgery. He is also a Diplomate of the American Board of Surgery. An authority on thoracic surgery and thoracic oncology, Dr. Miller has served on the editorial boards and as a reviewer for several leading medical journals, including Chest, Cancer, Lung Cancer, Annals of Surgery and Journal of Clinical Oncology. He was named Outstanding Physician in Thoracic Surgery by Atlanta Magazine from 2007 through 2016. A dedicated researcher, he has published more than 135 original studies in journals such as Annals of Thoracic Surgery, Journal of Thoracic and Cardiovascular Surgery, Respiratory Medicine, and Chest. He has contributed multiple chapters to many textbooks on thoracic surgery and thoracic oncology. Castle Connolly named Dr. Miller one of America’s Top Doctors for Cancer from 2008-2016. Among his long list of recognitions is his continuing appearance as one of the “Top Doctors in Atlanta” by Atlanta Magazine and his acknowledgement by Newsweek Magazine in 2015. Dr. Miller earned his Bachelor of Science in Biology and Chemistry from Georgetown College in Kentucky. He completed his Doctor of Medicine at the University of Kentucky School of Medicine. His postgraduate training spanned nine years. At Georgetown University Hospital, in Washington, D.C., Dr. Miller completed an Internship and Residency in Surgery, as well as a Research Fellowship in Cardiothoracic Surgery and Lung Transplantation. He completed his training as a fellow, in Thoracic and Cardiovascular Surgery, at the Mayo Clinic and Mayo Foundation in Rochester, Minnesota. During the past 22 years, Dr. Miller has held numerous professional and clinical appointments. He co-directed the Lung Transplant Program at the University of Louisville Hospitals, where he also served as Chief of General Thoracic Surgery. He was Associate Professor of Surgery at Mayo Medical School and later at Emory University School of Medicine. He directed the Thoracic Oncology Program at Winship Cancer Institute, was Chief of Thoracic Surgery and was the Kamal A. Mansour Professor of Thoracic Surgery at Emory University School of Medicine. He was also a Navy Reserve from 1988 to 2000, when he received an Honorable Discharge with the rank of Commander. An identical twin originally from Kentucky, Dr. Miller enjoys spending time with his wife of 30 years and their four children. He is also an avid fan of college football and basketball.